Bi-fold doors are a great addition to your home if you want to add light and style. Creating the ideal transition from inside to outside, you can enjoy a fantastic view and a brighter room all year round. With aluminium bi-folds, your views are even greater with slimmer frames that give you more view and less door. 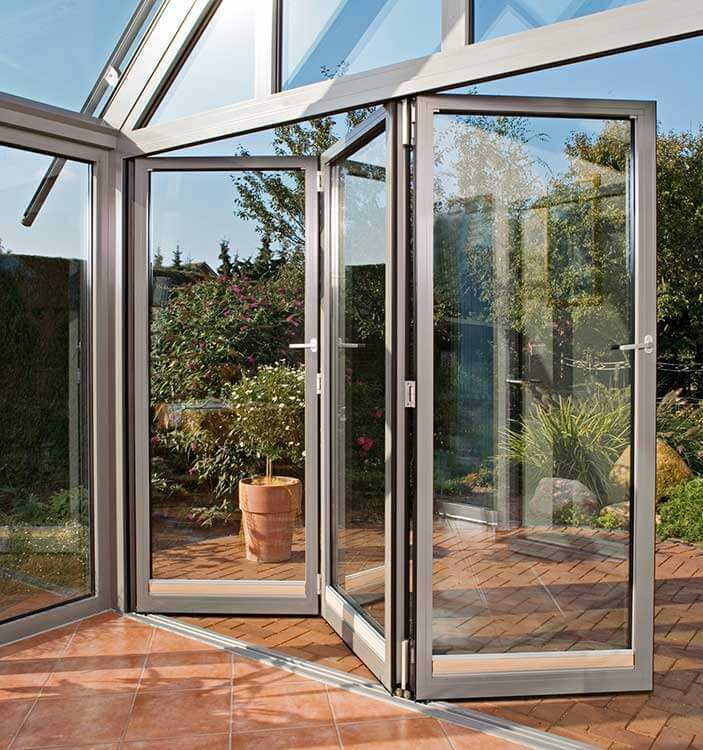 When combined with ultramodern looking aluminium, these bi-fold doors are sure to impress everyone who sees them. Thanks to toughened glass and the protecting strength of aluminium which is impressively tough, our bi-fold doors provide great security that will stand the test of time. Strong frames and multi-point locks also contribute to protecting your home and allow you to feel at ease when you leave your home. With a multi-chambered profile, your warmth is kept inside and your doors act as a barrier against the cold. The bi-fold door really comes into its own during the summer when you can throw open the doors to enjoy a great terrace feeling area. Ideal for those summer days when you want to enjoy the outside and make the most of the sunshine. When it comes to throwing a barbecue or garden party, your guests can easily drift between house and garden thanks to bi-fold doors which will equally impress with their aesthetics. 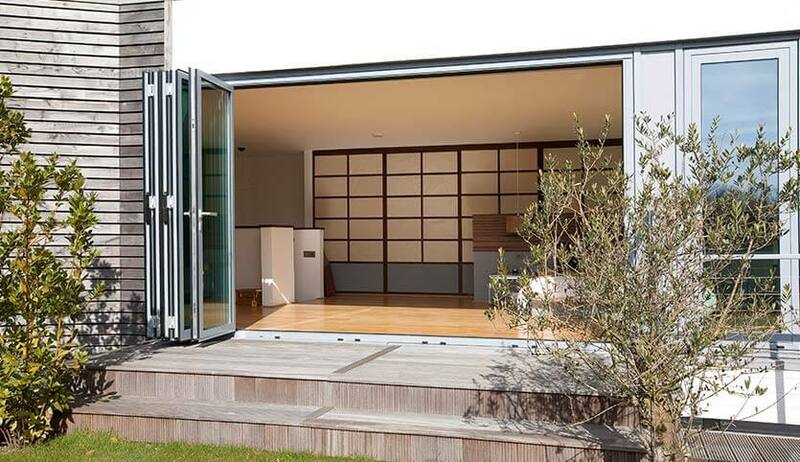 Easy to customise in any RAL colour; nothing looks quite as stylish as bi-fold doors.